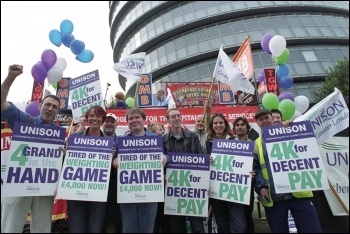 Socialist Party :: Trade union action to end low pay now! More than one million public sector workers are paid less than the minimum amount needed to make ends meet, as set by the Living Wage Foundation. They calculate this as £9 an hour, or £10.55 in London. Outsourcing to private companies is partly to blame. But many of the 1.2 million are employed directly by the state. Both sets of workers account for 20% of the six million who are paid less than the Living Wage in Britain. Employers and the government get away with it because the legal minimum 'national living wage' is £7.83 an hour across the country. It is set to rise to £8.21 from April. The Socialist Party argues that not only is the legal minimum not enough - neither is the so-called Living Wage. We call for a minimum wage of £10 an hour as a step towards a real living wage. Council workers in London are starting to demand more to avoid £10.55 becoming the new maximum. If the state can afford to give already generously paid MPs a 2.7% pay rise to £79,468 a year then it can afford to pay public sector workers a wage that means there's not too much month left at the end of their money. 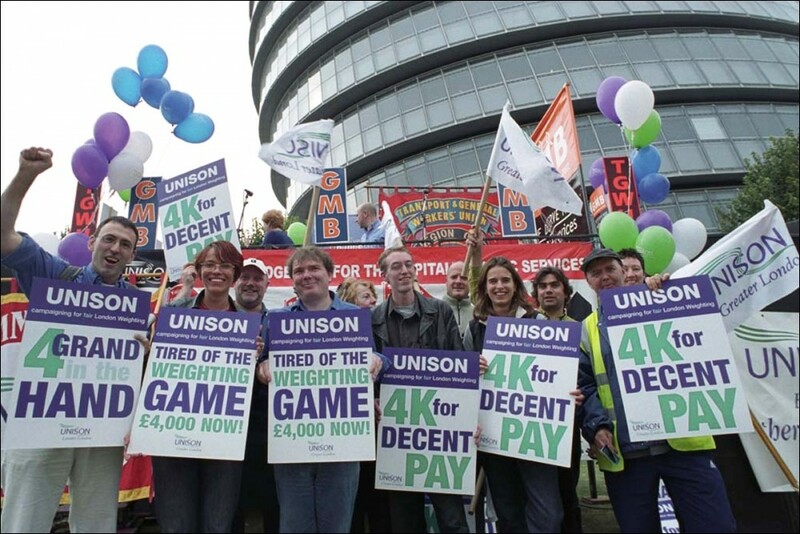 Public sector trade unions should strike and fight to end low pay for all state-employed and outsourced workers and an end to privatisation which drives down pay and terms and conditions. They should then link up with private sector trade unions - whose members in the BFAWU bakers' union, Unite the Union and others walked-out for better pay in McDonald's, TGI Friday's and JD Wetherspoon last year - to win a minimum wage of £10 an hour for all, with no youth exemptions.